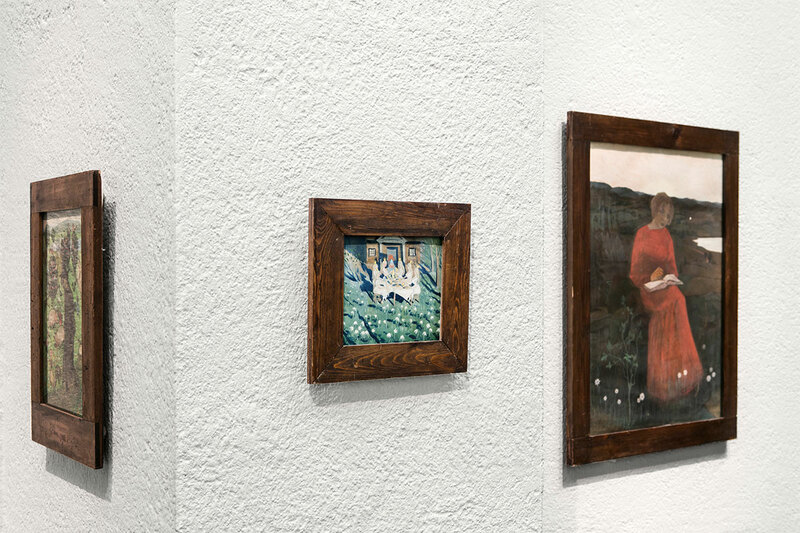 In the Arosenius room, you will find works by Ivar Arosenius, Gerhard Henning and Ole Kruse, who were part of a Bohemian clique in Gothenburg at the turn of the century 1900. Inspired by Symbolism, they spurned naturalist art and instead sought to imbue their images with feelings and symbolism. 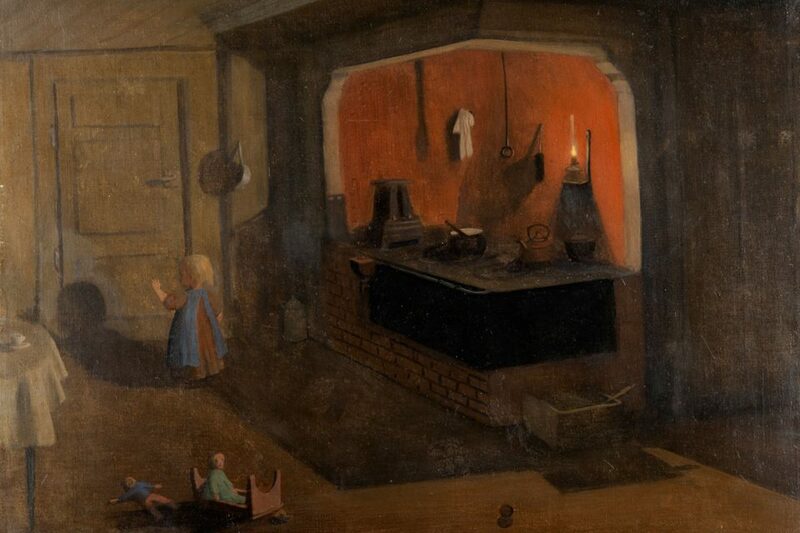 The Middle Ages were an important source of inspiration, not seldom as part of an opposition to the industrialism and materialism of the modern world. 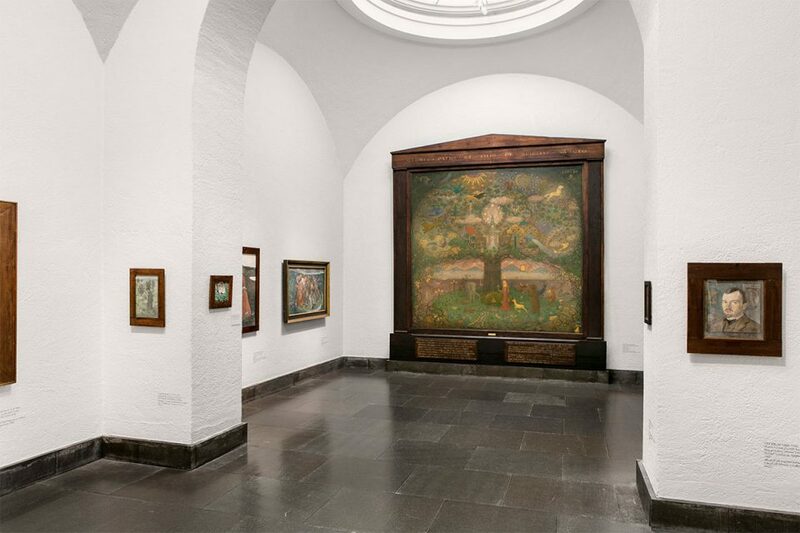 On the back wall in the Arosenius room looms Kruse’s richly symbolic painting The Tree of Life. 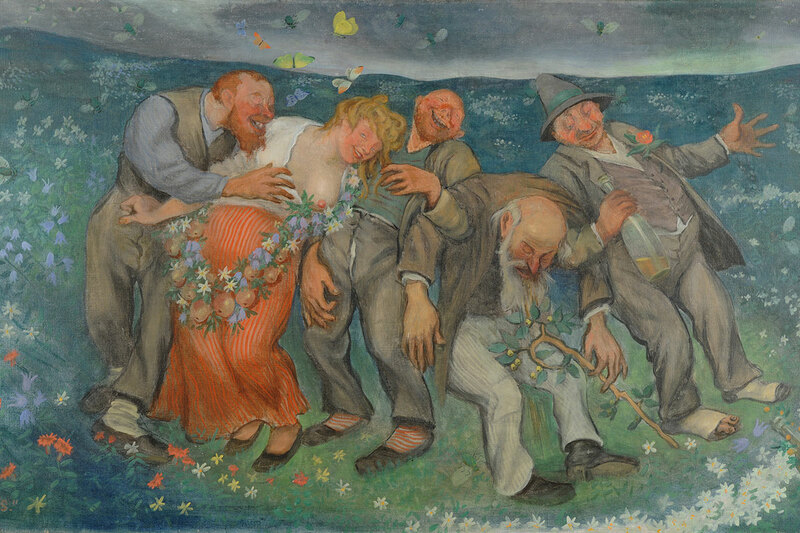 Over time, Arosenius’ oeuvre has come to be considered as unique and distinctive, characterised by burlesque and moving imagery. The artist moves between satire and fairy tales in a never-ending stream of subtly humorous and imaginative images. Arosenius’ daughter Lillan was born in 1903, causing him to give up his Bohemian habits for a quiet family life, a transition which is reflected in his intimate and moving late paintings. But the haemophilia that ended his life in 1909 cast a dark shadow over the family idyll.